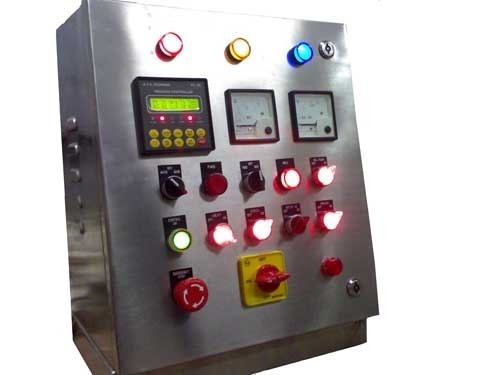 Since our inception, we are instrumental in offering premium quality Textile Control Panel. The offered panel is precisely engineered utilizing optimum quality material and sophisticated tools in adherence to set industrial norms. It is widely applicable for controlling machines and devices used in textile industries. We offer this panel in different customized options in order to meet vast necessities of our valuable clients.